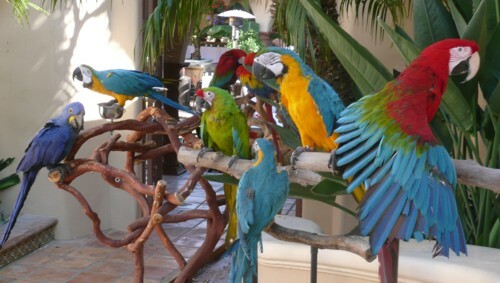 Have a Rio Themed Party with friendly Parrots you can hold and enjoy from the rainforests of Brazil and Costa Rica. We provide stage shows and show and tell educational presentations for any size event. We will travel anywhere in the USA,Parrot shows are not provided in Orange County California. Parrots shown here are for illustration only and are not for hire. .
We provide Parrots for events that your guests can hold for pictures and memories that last a lifetime. 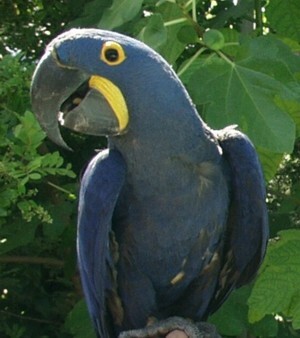 Our Parrots are fun family entertainment for large crowds or small. 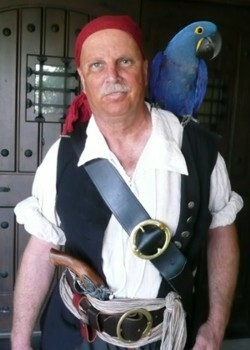 Our parrot shows can be any theme such as Zoo Keeper, Luau, Caribbean, or Pirate seen here. We have parrots for your event around the USA to offer America's largest troupe of performing parrots for your entertainment. 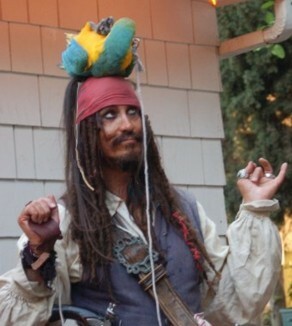 Two Parrot show entertainers dressed as pirates. Disclaimer: Pirates for Parties in no way implies to claim any rights or any kind of affiliation with Disney and any trademarked or copyrighted characters, as well as any intellectual property pertaining to the motion picture/s "Pirates of the Caribbean” which are TM and © (or copyright) by Walt Disney, Jerry Bruckheimer and its related entities. This web site and its contents are in no way affiliated with Disney, or authorized or endorsed by Disney Corp, Jerry Bruckheimer Productions, Johnny Depp, or any of their subsidiaries. Pirates for Parties is not affiliated in any way, nor do they by fact or inference imply to hold any rights or authorization, rights of association or sponsorship or endorsement of the use of any copyrights or trademarks as held by any individuals, or companies in association with any offer, including, but not limited to Disney and its related entities. The contents of this site are © the site's owners, all rights reserved.